Assimilates synthesized in the mesophyll of mature leaves move along the pre-phloem transport pathway to the bundle sheath of the minor veins from which they are loaded into the phloem. The present review discusses the most probable driving force(s) for the pre-phloem pathway, diffusion down the concentration gradient or bulk flow along a pressure gradient. The driving force seems to depend on the mode of phloem loading. 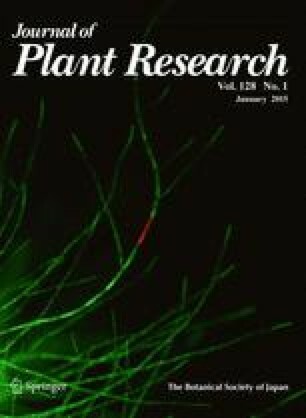 In a majority of plant species phloem loading is a thermodynamically active process, involving the activity of membrane transporters in the sieve-element companion cell complex. Since assimilate movement includes an apoplasmic step, this mode is called apoplasmic loading. Well established is also the polymer-trap loading mode, where the phloem-transport sugars are raffinose-family oligomers in herbaceous plants. Also this mode depends on the investment of energy, here for sugar oligomerization, and leads to a high sugar accumulation in the phloem, even though the phloem is not symplasmically isolated, but well coupled by plasmodesmata (PD). Hence the mode polymer-trap mode is also designated active symplasmic loading. For woody angiosperms and gymnosperms an alternate loading mode is currently matter of discussion, called passive symplasmic loading. Based on the limited material available, this review compares the different loading modes and suggests that diffusion is the driving force in apoplasmic loaders, while bulk flow plays an increasing role in plants having a continuous symplasmic pathway from mesophyll to sieve elements. Crucial for the driving force is the question where water enters the pre-phloem pathway. Surprisingly, the role of PD in water movement has not been addressed so far appropriately. Modeling of assimilate and water fluxes indicates that in symplasmic loaders a considerable part of water flux happens through the PD between bundle sheath and phloem. This work was supported by the Danish Council for Independent Research—Natural Sciences Grant 12-126055. AS thanks Tomas Bohr (Technical University of Denmark), Johannes Liesche and Helle J. Martens (University of Copenhagen) for fruitful discussions and inspiring collaboration.